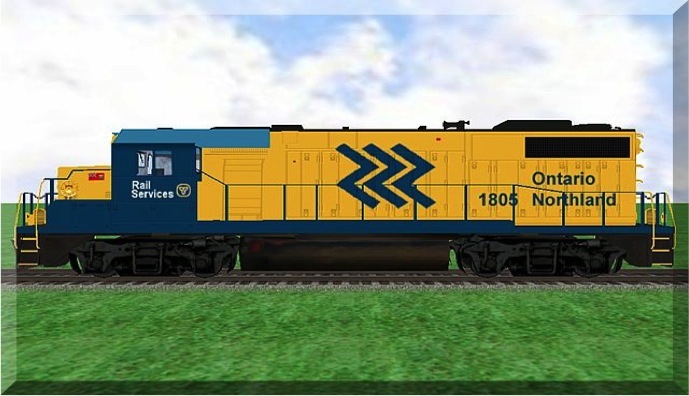 Later to be developed than many other Canadian railway lines, the Ontario Northland was created through an act of the Ontario Legislative Assembly on March 17, 1902 as the Temiskaming and Northern Ontario Railway. The goals in the development of this line by Premier George Ross’ government were to encourage settlement and access to mineral deposits to what was then viewed as a new frontier. Construction started that same year and led to the discovery of silver and the founding of the town of Cobalt. Eventually, by 1932, Moosonee was reached at the mouth of the Moose River on James Bay. The name of the railway was changed in 1940, in part to avoid confusion with another railway with the same initials – the Texas and New Orleans Railway. The Ontario Northland served the developing mining industry and spur lines were built to several mining communities. Telephone lines followed the development of rail lines and the ONR operated its own telephone service. Tourism was also furthered as passenger trains stopped by request in the bush for hunting and fishing camps. The popular Polar Bear Express took tourists from Cochrane to Moosonee. This train even has a canoe car that can hold 18 canoes, the only such rolling stock designed for such purposes. In a short sighted move, the Liberal government of Dalton McGuinty announced in 2012 that the Ontario Northland would cease operations and the Northlander, from Toronto to Cochrane, was replaced by bus service.